South Korea will work with the United States and North Korea to ensure they reach agreement on denuclearisation, the South's president said on Friday, a day after talks between the US and North Korean leaders collapsed over sanctions. 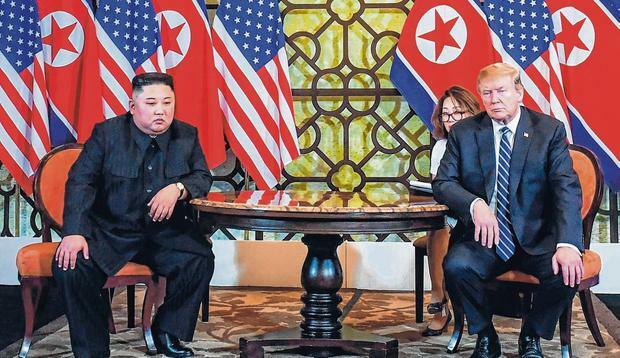 A second summit between U.S. President Donald Trump and North Korean leader Kim Jong Un, in Vietnam, was cut short after they failed to reach a deal on the extent of sanctions relief North Korea would get in exchange for steps to dismantle its nuclear programme. South Korea's President Moon Jae-in has been an active supporter of efforts to end confrontation on the Korean peninsula, meeting Kim three times last year and trying to facilitate his nuclear negotiations with the United States. "My administration will closely communicate and cooperate with the United States and North Korea so as to help their talks reach a complete settlement by any means," Moon said in a speech in the South Korean capital, Seoul. Moon also said South Korea would consult with the United States on ways to resume joint projects with the North including tourism development at Mount Kumgang and the Kaesong industrial complex, both in North Korea. 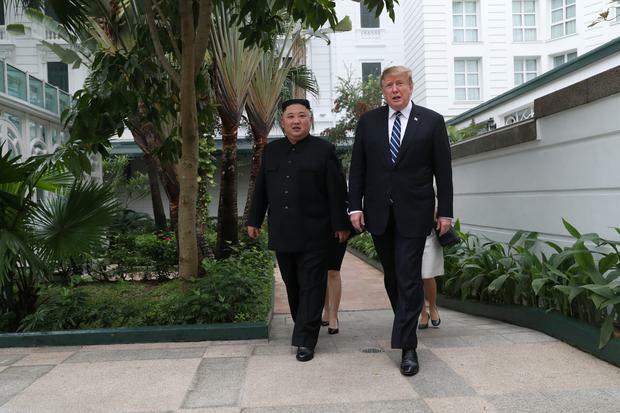 The Hanoi summit came eight months after Trump and Kim met for the first time in Singapore and agreed to establish new relations and peace in exchange for a North Korean commitment to work toward complete denuclearisation of the Korean peninsula. Trump said two days of talks had made good progress but it was important not to rush into a bad deal. He said he had walked away because of unacceptable North Korean demands. "It was all about the sanctions," Trump told a news conference after the talks were cut short. "Basically, they wanted the sanctions lifted in their entirety, and we couldn't do that." However, North Korean Foreign Minister Ri Yong Ho told a midnight news conference after Trump left Hanoi that North Korea had sought only a partial lifting of sanctions "related to people's livelihoods and unrelated to military sanctions". He said North Korea had offered a realistic proposal involving the dismantling of all of its main nuclear site at Yongbyon, including plutonium and uranium facilities, by engineers from both countries. "This is the biggest denuclearisation step we can take based on the current level of trust between the two countries," Ri said. North Korean Vice Foreign Minister Choe Son Hui told the same briefing she had the impression that Kim "might lose his willingness to pursue a deal" after the U.S. side rejected a partial lifting of sanctions in return for destruction of Yongbyon, "something we had never offered before". But despite raising that doubt, both sides indicated they wanted to maintain the momentum and press on. North Korean media adopted a conciliatory tone. The state KCNA news agency said Kim and Trump had a constructive and sincere exchange and decided to continue productive talks, without mentioning that the talks ended abruptly with no agreement. Kim, who is due to leave Vietnam on Saturday, also expressed gratitude to Trump for traveling so far and actively putting in efforts to get results, KCNA added. A U.S. Sate Department official said the North Korean media report had been "quite constructive". "(It) suggests to me that like us there’s still ample opportunity to talk," the official, who declined to be identified, told reporters. North Korea had proposed closing part of its Yongbyon nuclear complex in exchange for the lifting of all U.N. sanctions except those directly targeting their weapons of mass destruction programmes, the official said. "The dilemma that we were confronted with is the North Koreans at this point are unwilling to impose a complete freeze on their weapons of mass destruction programmes," the official told reporters. "So to give many, many billions of dollars in sanctions relief would in effect put us in a position of subsidising the ongoing development of weapons of mass destruction," said the official, who spoke on condition of anonymity. Analysts estimate North Korea may have a nuclear arsenal of 20 to 60 weapons which, if fitted to intercontinental ballistic missiles it has developed, could threaten the U.S. mainland. Trump spoke to the leaders of South Korea and Japan on his way back from Hanoi and told them the United States would work with them and talk to North Korea, the White House said.